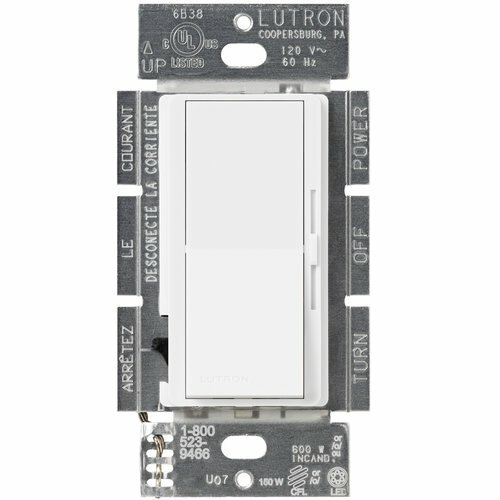 LED / CFL Dimmer Switch by Lutron This white CFL / LED works with many dimmable LED and compact fluorescent bulbs from a variety of manufacturers including Sylvania, TCP, Philips, Cree, EcoSmart, Feit, GE, Halo, and Lighting Science. Because performance is so varied from bulb to bulb, or manufacturer to manufacturer, theadjustment dial will help you set the bottom of the dimming range for your particular bulbs. Please note, the designer-style wallplate shown is not included.